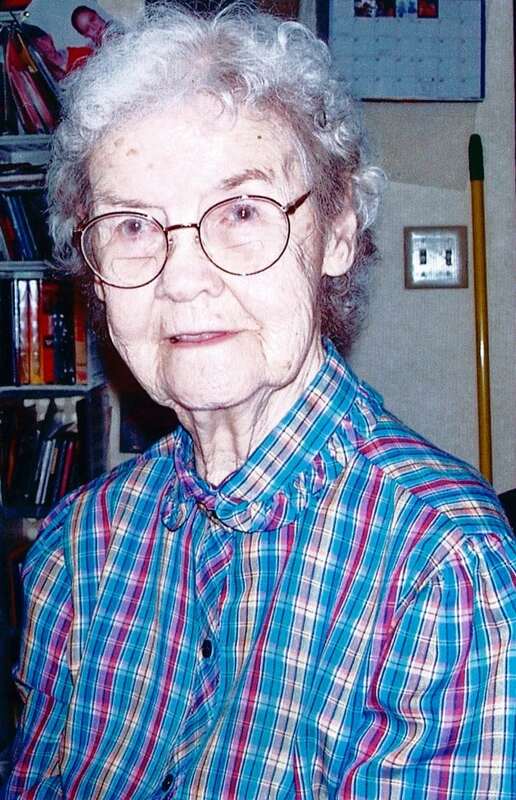 A visitation for Maud D. Barrett, 94, Lawrence, Kan., will be from 4 – 6 p.m. Monday at Rumsey-Yost Funeral Home. A private burial will be held later in Bucklin, Mo. Miss Barrett died Wednesday, June 6, 2012, at Lawrence Memorial Hospital. She was born Feb. 3, 1918, in Bucklin, the daughter of Odus “Oat” and Agness Perse Barrett, and was raised by Walter and Hattie Arbuckle. She attended school in Fort Scott. Miss Barrett farmed with her family in rural Douglas County for many years. She also worked as a silk finisher at Independent Laundry and Dry Cleaners for three years. She was a Farm Bureau member, and a member and past president of the Barker Busy Bees in northwest Douglas County. Survivors include five nephews, one niece, and dear friends Neal and Darlene Hart, Lawrence. Memorial contributions in Miss Barrett’s name may be made to the Bucklin Cemetery, in care of the funeral home, 601 Ind., Lawrence, KS, 66044.